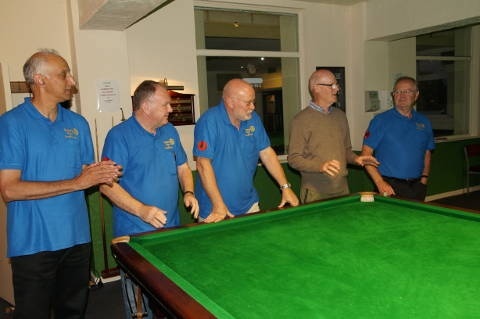 The final of the District Snooker competition took place on Thursday 28 August 2016. It was contested by Upper Eden and Church and Oswaldtwistle, the victors being Upper Eden who won by 3 games to 2. 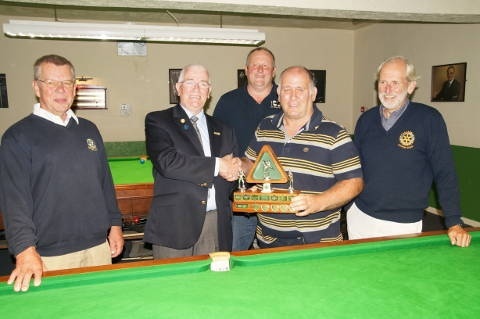 The trophy was presented by the Immediate Past District Governor Arthur Jones, in whose year this competition was held. The match was played in a competitive but, in real Rotary fashion, a friendly and happy manner, with plenty of good hearted humour and cheek!